a new year of creating! i haven’t posted in awhile, but i have been doing a lot of creating lately! i took advantage of the homework-less winter break to get some crocheting done, and have gotten back into knitting again. i just completed a quick project as a gift for a classmate, a pair of pink potholders with her initials. 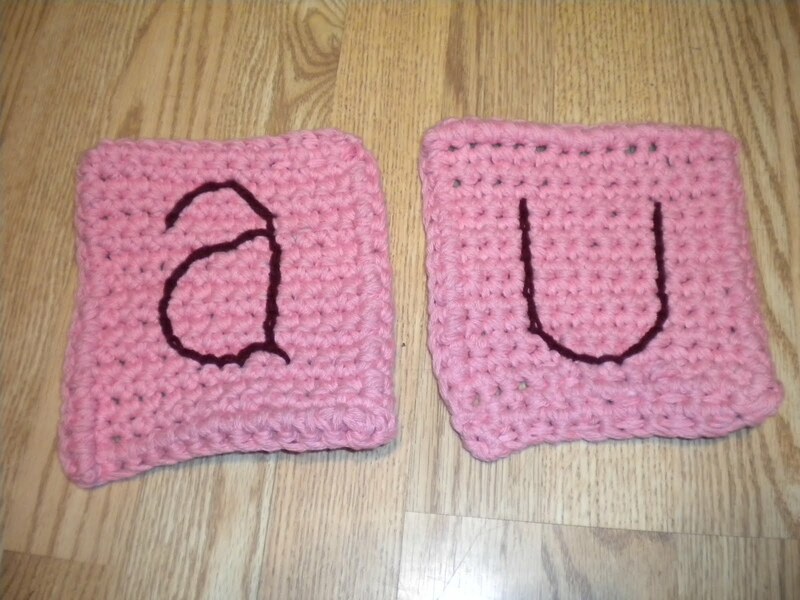 she loooooves the color pink and has been asking me when i’m going to make her some potholders, so i did! they didn’t turn out quite symmetrical, but i think they’re cute! This entry was posted in Crochet and tagged crochet, potholder, surface crochet. Bookmark the permalink.